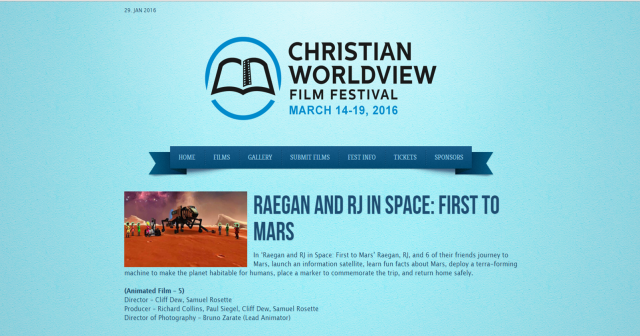 'Raegan and RJ in Space: First to Mars' has been in 6 Christian Film Festivals! 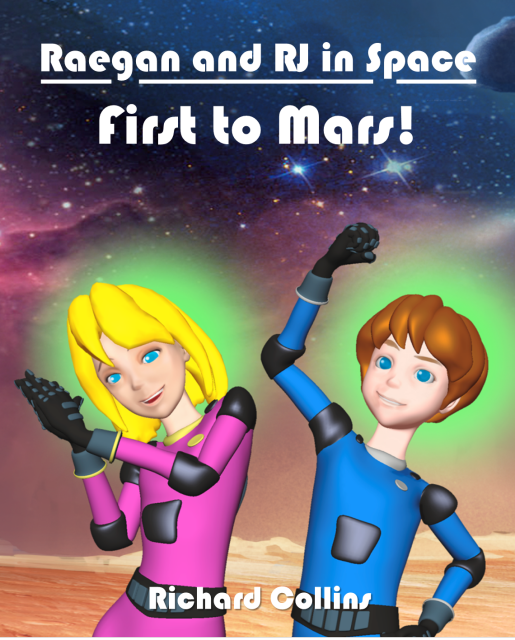 Here is the cover to 'Raegan and RJ in Space: First to Mars' our first professionally animated adventure! 28 January 2018 Christian CinemaFest! 'Raegan and RJ in Space: First to Mars' was selected for and awarded the BEST ANIMATION award. 6 Aug 2017 Christian Family Film Festival! 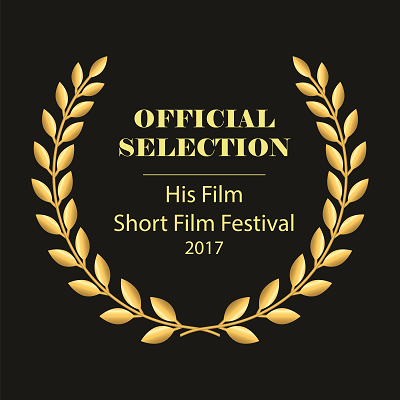 21 April 2017 His Film Festiva! 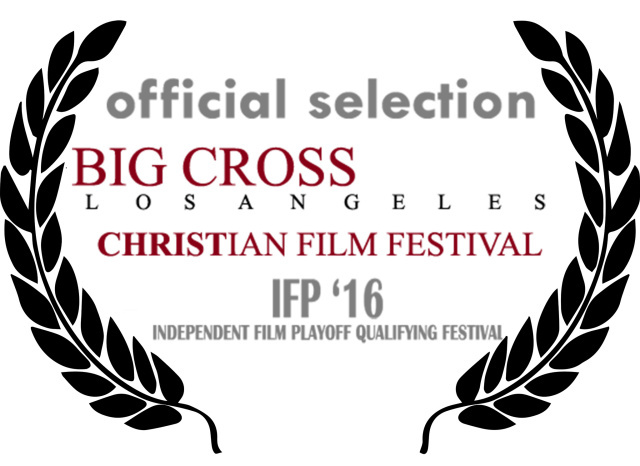 10 Nov 2016 Big Cross Christian Film Festival! 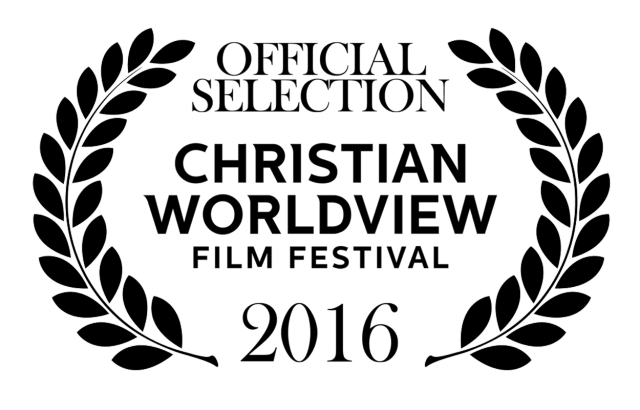 14 March 2016 Christian Worldview Film Festival! 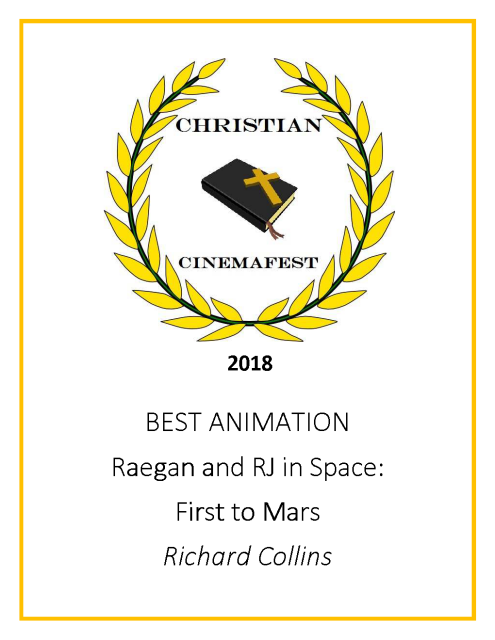 'Raegan and RJ in Space: First to Mars', our first professionally animated cartoon, was an official selection to and shown at the 'Christian Worldview Film Festival' and was shown in front of hundreds of people in San Antonio Texas! Here is a picture of the Laurels the movie was awarded and also our own page on their web site! 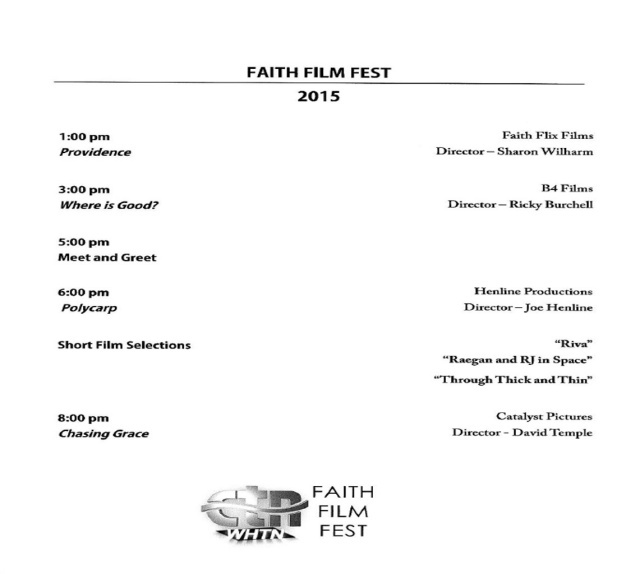 17 Oct 15: Faith Film Festival! 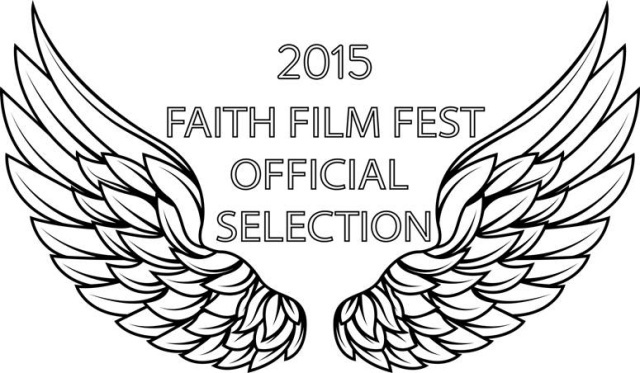 "Raegan and RJ in Space: First to Mars' was selected for viewing at the 2015 Faith Film Festval in MT Juliet TN on 17 Oct 15! Everyore there really liked the 3D animated adventure and said it was awesome! 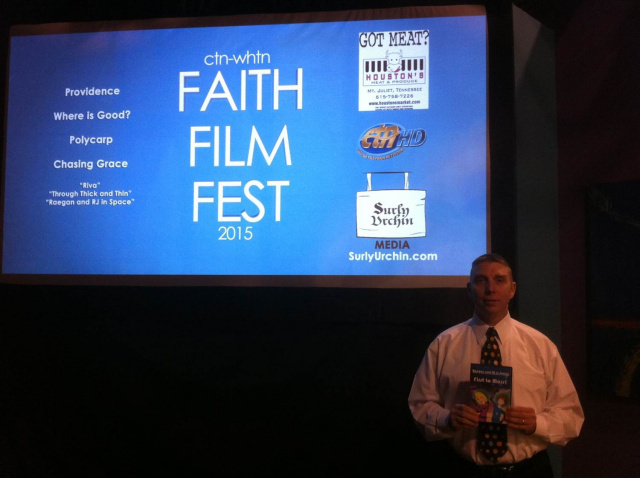 Here is a picture of the author with our DVD at the event. The guy at the TV station said not all movies entered got selcted to be shown so it was a big honor.